Shaums March is a three-time World Team member, two-time Masters World Champion and was the first African American to win a NORBA National race and to be chosen to attend the Mountain Bike World Championships. He is also considered by many to be one of the best coaches the sport of mountain biking has ever seen and an all-around nice guy. 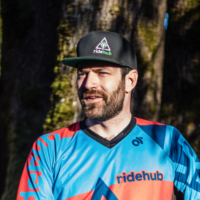 Born in Alaska and raised in California, March started competing in BMX races at the age of 12, but he found his true calling when he switched to mountain biking in 1994. In 1996, he was crowned California State Champion and, in 1998, finished fourth in the X-Games Downhill event. That year, he also won the NORBA downhill event in Breckenridge, Colo, which he considers the most emotional victory of his career. March was the fastest North American at the 2003 World Downhill Championships and finished second overall in the 2004 BC (British Columbia) Cup series. His versatile skills and passion for his sport also led him to compete at Red Bull Rampage and Red Bull Bike Battle. 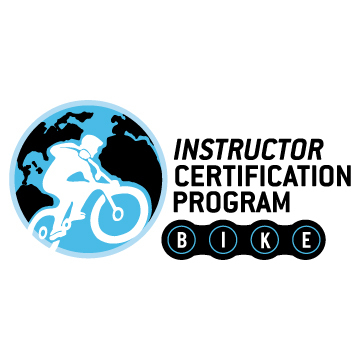 In 2009, March acquired the rights to the Canadian Mountain Bike Instructor Certification program and expanded the course offerings under the International Mountain Bike Instructor Certification (IMIC). In 2013, IMBA purchased the rights to the IMIC and brought March on as the program’s Lead Instructor Trainer. As of January 2018, Shaums March and March Northwest required the ICP from IMBA and created the BICP as its own nonprofit 501(c)3.